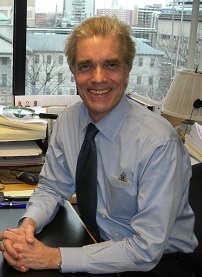 Associate Professor of Medicine, Harvard Medical School, and Physician, Massachusetts General Hospital, remains active in daily clinical office and inpatient practice. Dr. Goodson is renowned as a teacher, an advocate and an innovator of primary care medicine. He is a founder of the John D. Stoeckle Center for Primary Care Innovation and leads national efforts to improve the work experience for primary care clinicians. Our goal is your professional satisfaction. We are committed to education free from distraction. We want you to establish your own curriculum with your workshop selections. This course will expand your knowledge of the most dynamic and clinically relevant components of general internal medicine, improve your confidence and competence as a primary care clinician, and lead you to implement improved clinical strategies. The environment has been structured to facilitate your incorporation of new knowledge into patient care. Presentations are focused, lively, and case based. Our faculty has been selected from the best clinical educators of Harvard Medical School and its affiliated hospitals.